A short note about this edition: Many of you know that we used to carry the large-format, illustrated edition of The Wonderful Adventures of Nils. Recently, we discovered a very inexpensive, domestically produced edition and decided to take a look, thinking that a choice in cost would be a happy thing for many. I reviewed that book with trepidation, wondering if it was abridged from what I thought was the original. What a surprise -- it was the expensive copy that had excised much of Selma Lagerlöf's prose!! We have decided to discontinue the large volume in favor of this unpretentous edition that preserves every bit of the author's magic. It is the identical translation as our previous edition - but every word is intact. You and your children won't need large, color pictures, Selma Lagerlöf's words will transport you on clouds of imagination. Wonderful is just the right word for remarkable story. Selma Lagerlöf was already one of Sweden's most renowned authors when she was asked to create a new reader for Swedish schools. What she fashioned broke all the rules - no more disconnected little stories, no more reading for the sake of learning to read! No, she brought her full talent as an outstanding storyteller to bear on the project and created a 17 chapter book that told children a tale from beginning to end. The Wonderful Adventures of Nils is that book, and it is just as delightful today as it was at the turn of the century when it was written. Jayne is a cat, raised as a dog. Found as a new-born she is brought up with a litter of puppies. Jayne does not turn out to be just any kind of dog, she is the top dog, the main-man dog, the king-of-the-castle dog. She holds her tail up straight when she walks and brooks no nonsense. When they go for a stroll everyone has to stay behind her: her brothers and sisters, her doggy-daddy and doggy-mommy, even the human she keeps as chief back scratcher and can opener. Jayne is a tough cookie—as tough as nails and as cool as cucumbers come—as she proves in (almost) all her adventures: with Big-Bad and Bengal Bob, flying and skydiving, as lifesaver extraordinaire and later as mayor of the great city of New Philawashingyork. The Adventures of Jayne is a fun tale for family reading or for children to read themselves. Suitable for ages 5 to 10. Tiptoes Lightly loves the sea, and when Farmer John and his children, Tom Nutcracker and June Berry, drive to the seaside for Thanksgiving, she goes along with them. Tom and June discover a freshly uncovered cave in the bluffs that run along the shore. Thay call it their Treasure Cave just for fun, but thn find seven beautiful pearls and a finely wrought golden chain buried in the sand. Tiptoes sets out to discover the story behind the pearls, and soon a delicate web of tales begins to unfold. Stretching back to the creation of hte world, they weave together until Tiptoes and the children are caught up in the ongoing drama between the Sea King and his lovely daughter. Every one of our children followed the adventures and discoveries of Sylvia throughout their entire first grade year. Their eyes were always wide open at story time, and they wove these stories into their play for the entire year. I know of one family who gave each child a blank "Wonder Book" when they entered school and, no matter how tired the grown-ups were, whenever the children put their Wonder Books out for the fairies, there was always a picture and a story the next day. This is a book for seven-year-olds of all ages! 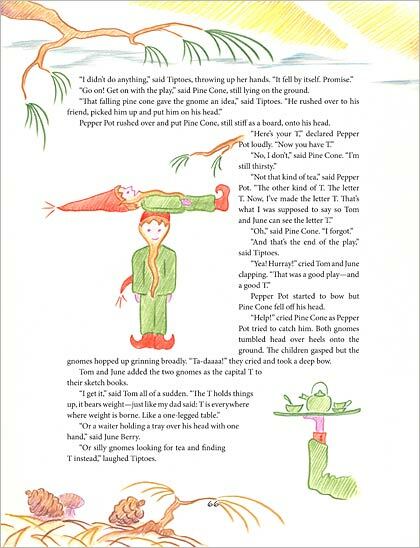 Isabel Wyatt created these stories from the tales told by the Buddha over 2500 years ago. I see them as the perfect bridge between the fables and saints and heroes as taught in Grade 2 within the Waldorf curriculum. Here you'll find both animals and humans peopling the world as kings and wise men, clever monkeys and faithful elephants. There are great adventures which tell of danger and courage, and show so well how it is that wisdom and thoughtfulness always triumph over selfishness and greed. Wonderful for ages 8 and up - truly heartwarming tales! The tales of Orfeo, friend of all small creatures, are written with the second grader in mind. Orfeo must free the princess from the Rose Tower but cannot find a way to do so until the beetles and mice and birds come to his aid. This is another beloved book in our home - we're sure your children will love King Beetle-tamer, too. The story of Saint Odelia, patron saint of the Alsace region in France, is one of the most beautiful legends from the middle ages. It is about the destiny of a child, born blind and turned out by her father, who gains her sight through a miracle at her baptism. The young girl goes her way unerringly and against all odds, to establish the convent later named for her: Odilienberg. A beautiful retelling, lacking any trace of sentimentalism and filled with wonder. Ideal for the Saints and Heroes block in the Waldorf 2nd grade. With the wise counsel of the Golden Fish, the Fisher Boy sets out to win the heart of a beautiful princess. But first he must travel far and wide to find a golden eagle, a leaf-green bull, and a lion with a snow-white heart. Written for third-graders, this is another treasure from Isabel Wyatt. King Gorm of Denmark sends the hero Thorkill of Iceland on a mission to the land of the Giants. Thorkill's enemies plan for him never to return from this journey. Thorkill's adventurous success is told with Isabel Wyatt's characteristic touch of drama and beauty. Included also in Thorkill of Iceland is the story of The Dream of King Alfdan, in which Prince Guthorm loses his inheritance after his father Sigurd is Banished from the Norwegian court and endures many adventures before fulfilling his destiny. Perfect for your adventurous 4th grader! The thirty-seven stories of Christian saints are told in a way that will captivate and inspire children from 7-12. (In fact, they captivate and inspire me!) Saints, like the rest of us, are very different one from another; but the thread that unites all the stories gathered in this book is that through an unswerving union with Love (Christ), tragedy is always transformed into victory and rejoicing. 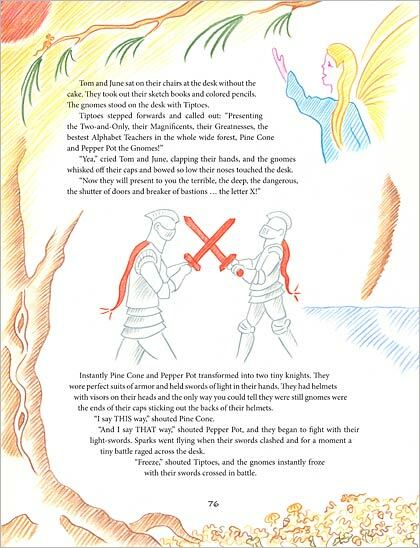 These stories can be learned and retold by adults or read to younger children. The vocabulary is such that older children can enjoy reading the stories themselves. This edition contains the identical text as the Floris edition, but is graced with the original illustrations by Willy Pogány. It is a reproduction of the 1916 first edition and is printed in the United States - hence, the lower price. I find the older style of the illustrations very in keeping with the story, serving to carry the reader into the realm of Old Ireland. I am also delighted to be able to offer our customers a less expensive, worthy alternative. Padraic Colum, an award-winning Irish storyteller whose children's stories always ring with the music of the spoken voice, weaves a tale of long ago, when the King of Ireland's son set out to find the Enchanter of the Black Back-Lands. He meets the Enchanter's daughter, Fedelma, falls in love and is betrothed to her. Then, he loses her. His adventures to find her again lead him to the Land of the Mist, the Town of the Red Castle and the worlds of Gilly of the Goatskin, the Hags of the Long Teeth, Princess Flame-of-Wine and a meeting with the Giant, Crom Duv. 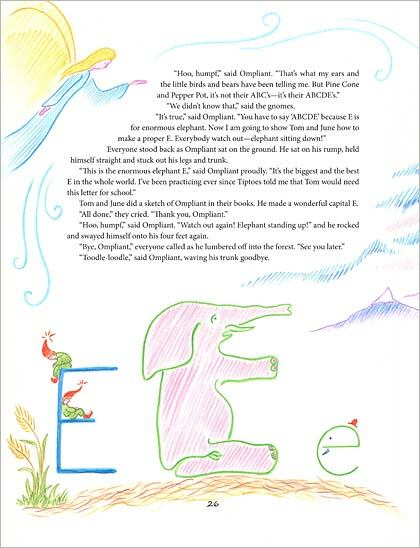 Our children had a wonderful time with this story when they were in 2nd and 3rd grades. Ages 8-11. In olden times, the dragon appeared at the village gate every evening and demanded his due. Frightened villagers one after another brought him a prize sheep, or cow, or goat and the dragon then went away . . . for another night. Then came a drought and there were no more animals to feed to the hungry dragon. Threatening to burn down the village if they refused him, the dragon told them to bring him their children instead. The children had been planning a long time for this day and surprised both the dragon and their parents by rising to fight and defeat the dragon. But the dragon promised to return, and dragons always keep their promises . . .
Ages 8 through 10 or so (approximately grades 2 through 5).